Prof. James Self and his design team are posing for group photo. From left are Kido Chang, Haemin Lee, Hannah Self, Prof. Self, Sumin Lee, and Subin Kim. 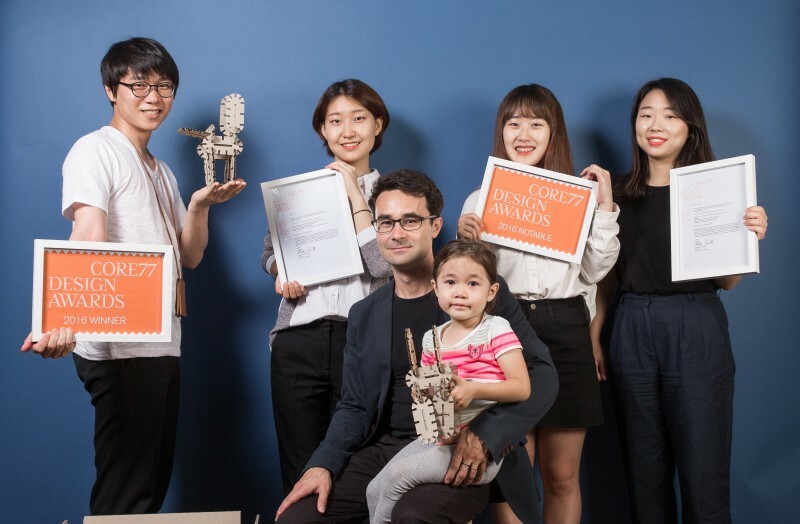 A UNIST design team, led by Prof. James A. Self (School of Design & Human Engineering) has announced that its ‘Toy Box’ design concept has received Notable and Winner design awards in the 2016, New York-based Core77 Design Awards competition. 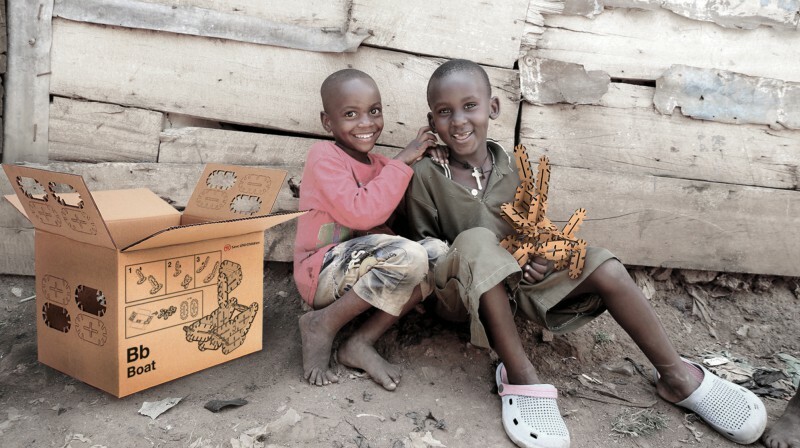 The award-winning design concept, Toy Box: From Utility to Delight is a transformative packaging design, created with the aim to add value to the lives of deprived children in the most challenging contexts. The prototype Toy Box, designed at UNIST is made for the world’s most disadvantaged. 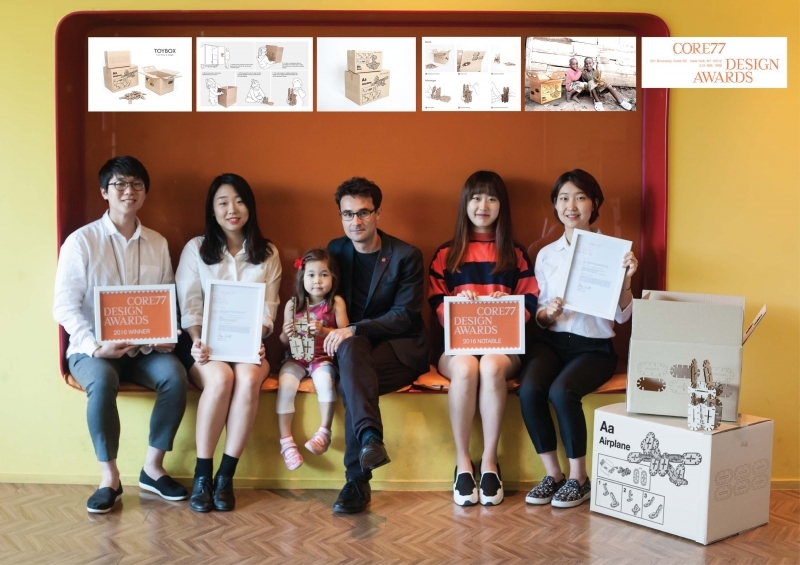 The Toy Box design submitted to Core77 aims to help children in disaster zones and the world’s poorest communities by providing play opportunities through an innovative design that re-purposes existing relief packaging. 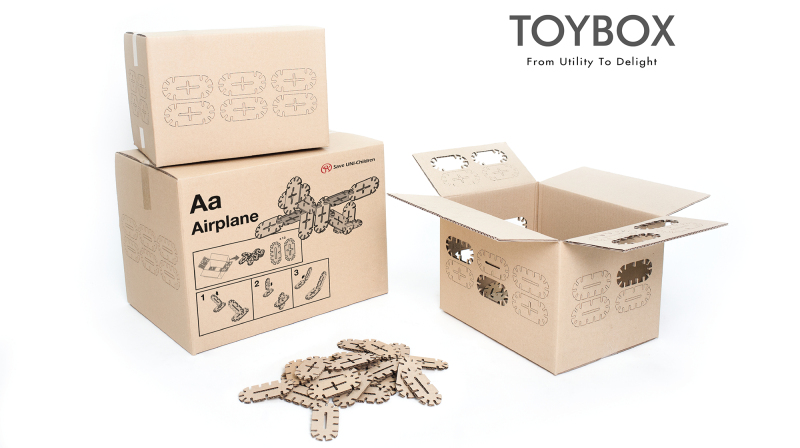 The design team behind the Toy Box Project has redesigned relief packaging in a way that after it has served its primary purpose can be turned into different types of toys depending on the size of the box. 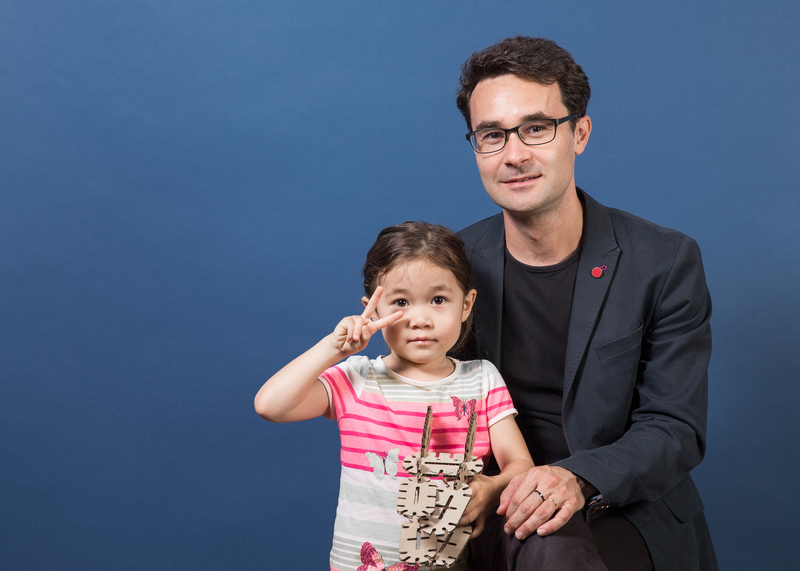 Prof. Self and his design team wishes to use Toy Box in various ways, from helping children recover from trauma to encouraging their physical and emotional development. 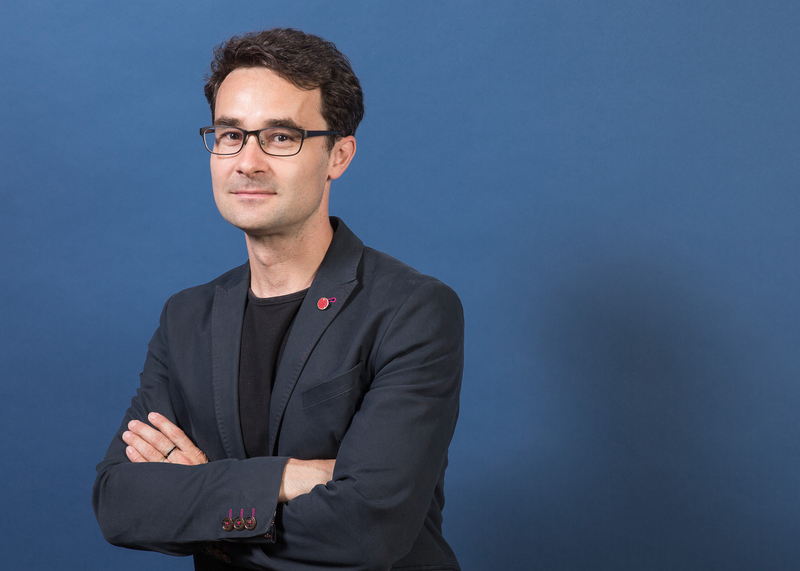 In fact, the design specifications for Toy Box are derived from consideration for the unique requirements of poverty stricken contexts and a design-driven, innovation-in-use approach to ideation. Toy Box Design Concept, designed by Prof. Self and his design team (Subin Kim, Haemin Lee, Sumin Lee, and Kido Chang) at UNIST. Toy Box is an innovation of meaning in that, through a design-driven innovation-in-use approach, it has altered the meaning of a cardboard box, ubiquitously used by charities and non-government organizations (NGOs) for famine relief, into an opportunity for engagement, play, and discovery. In the BoP (Bottom of the Pyramid) context, Toy Box provides age-appropriate toys for school-aged children in deprived areas who would otherwise have very limited play opportunities. In this, the project will put smiles in the faces of these children while enhancing creativity, imagination and problem solving. The block pieces incorporated in the Toy Box design can quickly and easily be punched out and detached from the box to be used as a creative construction toy. 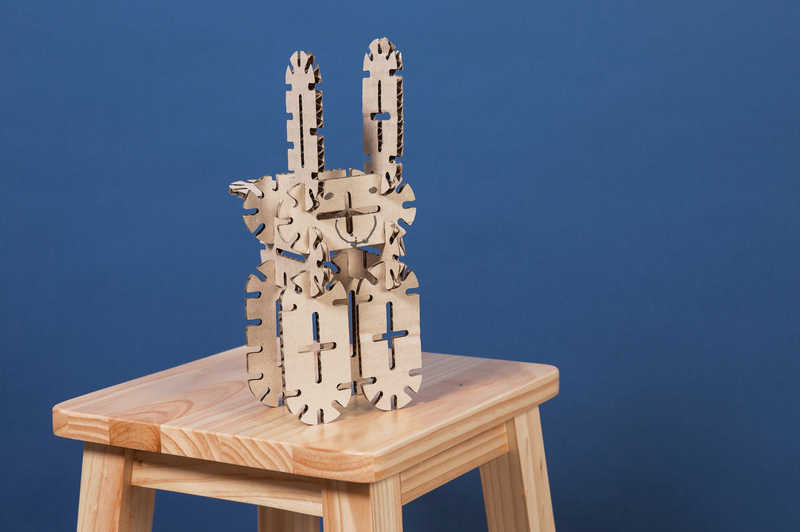 These pieces are simply joined to one another and freely assembled by the user, with the possibilities of assembly only limited by the child’s imagination. Prof. Self’s design team at a design workshop, developing and refining fixing and attaching details for Toy Box. Moreover, the Toy Box design requires minimum cost for production making it particularly suited to its context as intervention to provide emotional relief to the world’s poorest children. This is achieved through the innovative re-appropriation of existing aid packaging ubiquitously used by charities and NGOs to distribute aid in disaster hit areas. Toy Box also has a number of advantages in that though creative play children will develop motor skills and creative thinking. In this it has the potential to provide much needed relieve to young hands and minds as they struggle to come to terms with the most difficult of conditions. “We are delighted that our Toy Box has been recognized by the Core77 Design Awards 2016 for its innovation in transformative packaging design,” says Prof. Self. “Toy Box is more than just a toy. It has the potential to provide much needed emotional relief to the world’s poorest children”. Prof. James Self and his design team are posing for a group photo. From left in the back row are Kido Chang, Sumin Lee, Subin Kim, and Haemin Lee. Prof. Self is holding his daughter Hannah Self in the front row. 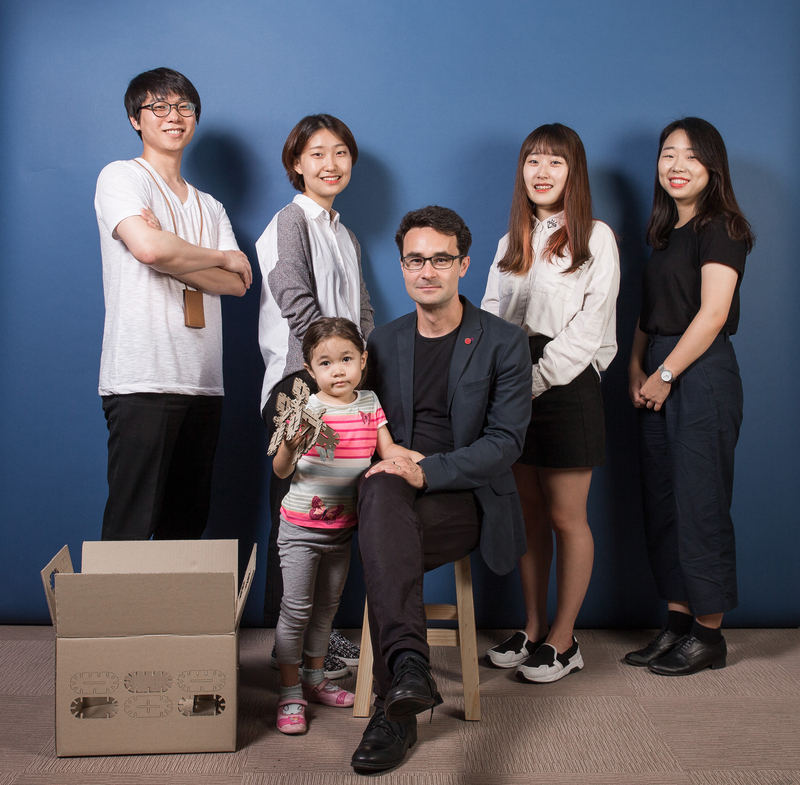 The Toy Box Project was designed by Prof. James Self and his design team: Kido Chang, Haemin Lee, Sumin Lee and Submin Kim. Core77 Inc., the leading online industrial design magazine, released the full list of the 2016 Core77 Design Awards honorees on June 1, 2016. Awarded designs are honored across 14 categories by 54 expert jury members from 15 different countries, making the awards program amongst the biggest in the world. All honored projects, Community Choice voting, and more information about the Core77 Design Awards can be found HERE.